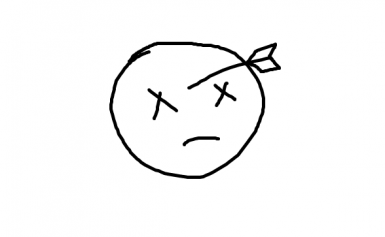 -Shooting at people in the head with an arrow or bolt will apply extra damage. This mod will check if an actor has an arrow embedded in their head, literally, if so it will consider it a headshot and apply some additional damage. There isn't really much else to add, I tried to make it as simple as possible. And in case I fucked up I added a on/off switch so it should be quite "safe". On the other hand I am not sure if what I am doing is safe, so consider this an alpha release. If you experience any issue please make a post about it, can't fix it if I don't know about it. I cant say for sure that my mod will work perfectly, but I think its as fast and reliable as it can get. Instead of keeping track of projectiles or where they hit, I just check if the actor has an arrow in its head, cant get simpler than that. It should work with any vanilla arrow or bolt, however new ones won't work out of the box. You will need to add them to a text file so they work with my mod. -First you need to find each new projectile's nif. Ex: For iron arrows there is an "ironarrowflight.nif" file. Ex: For iron arrows this name is "IronArrowFlight"
-I am pretty sure it's possible to get the exact damage dealt to an NPC, I just haven't found an easy way to do it. -It should work with all vanilla arrows, though I may have missed some, but any arrow added by other mods wont work out of the box. -Killing someone with a headshots won't count as a murder, sorry. - the player can be killed by headshots now. - added all vanilla arrows. - added toggle to check check if the target its wearing a helmet. 0.2.1: whoopsies, forgot to actually add the new esp, should work now, sorry about that.